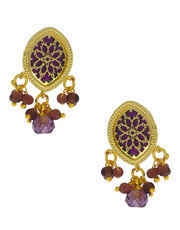 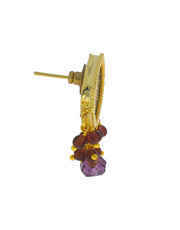 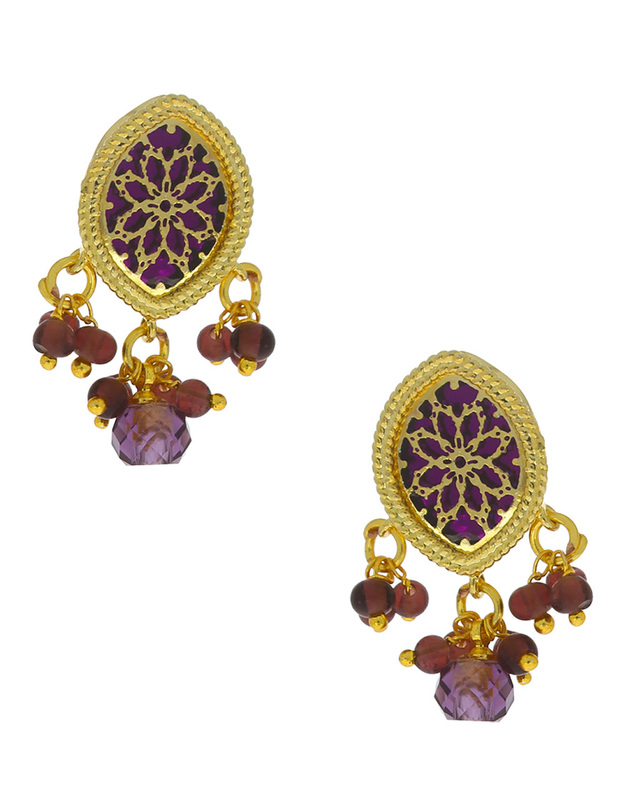 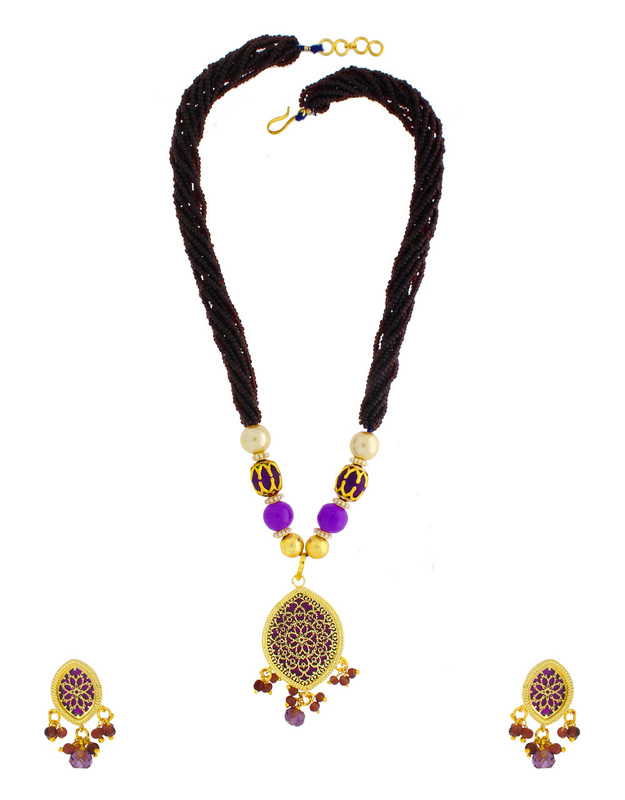 Add spark to your visage by wearing this purple colored beaded side piece necklace set from Anuradha Art Jewellery. 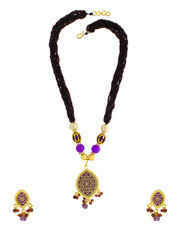 It is styled with multiple layers of black colored beads. 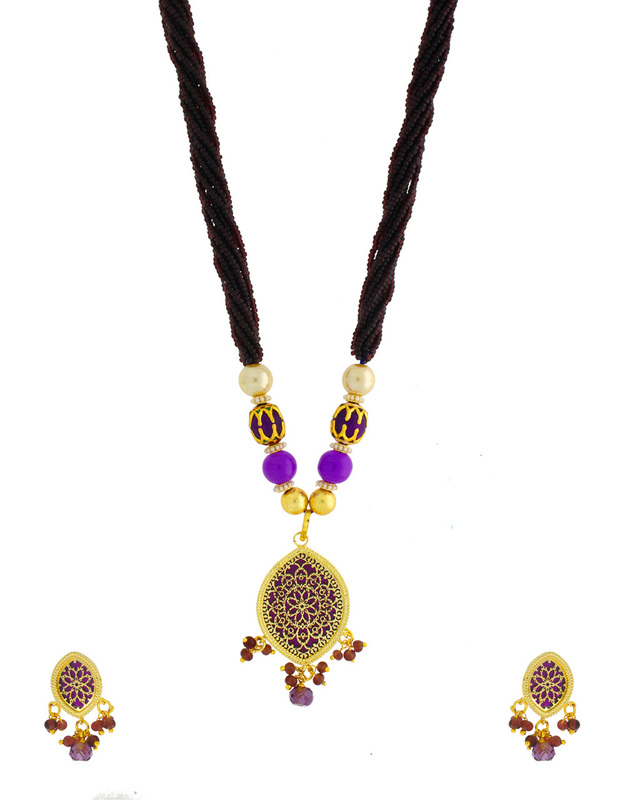 This stylish necklace set will complement matching ethnic attires. 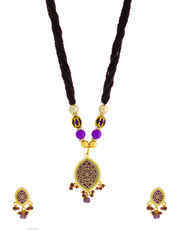 The set consists of necklace & pair of matching earrings.